Chocolatier and pastry chef Roger Rodriguez works tirelessly to craft beautiful and unique flavors in his chocolate. His love for his work is so clear in the way he approaches his creations. I so enjoyed working with Roger, and the rest of this creative team, to produce a set of videos and still images that highlight these original chocolate confections, as well as Roger’s bean-to-bar chocolate workshop, Cacao Prieto, located in Red Hook, Brooklyn. 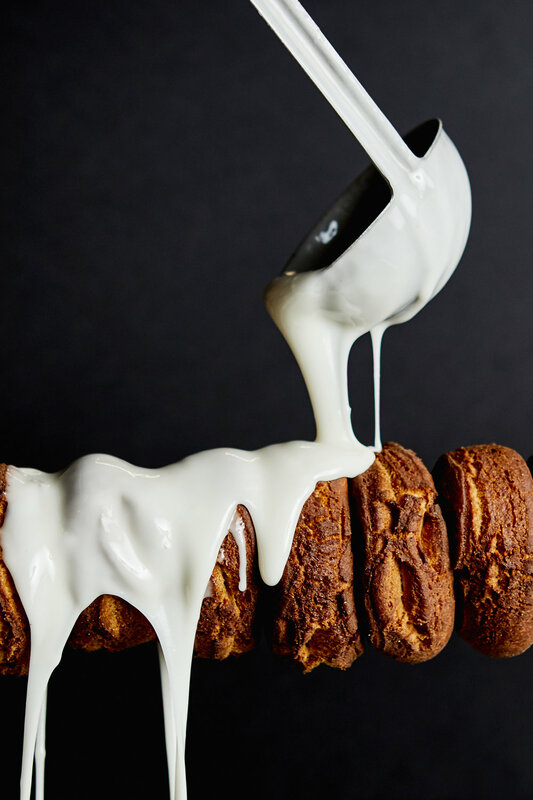 Roger’s time growing up in Santo Domingo, Dominican Republic, influences the flavors he works with, as does the European influence of his time spent training at ICE culinary school and among the top pastry chefs in the kitchens of Jean-Georges, Gramercy Tavern, and Del Posto. The challenge and excitement that comes from the endless possibilities with chocolate is what first drew Roger to chocolate making. His hope is that through his bold flavor combinations and hand-crafted chocolate, made the old-fashioned way, he can help people thoroughly enjoy only the best bites of chocolate. Creative direction: Ice cream + animation made for a dream project for Ben & Jerry’s. We were hired to create a series of animated GIFs for use on social channels. During a 2-day shoot, we produced a series of fun concepts developed by the creative team at Epic. Because we were capturing images for a variety of social outlets—Instagram, Snapchat and Facebook—we worked strategically to get the propping and framing just right so that each shot worked across all channels. 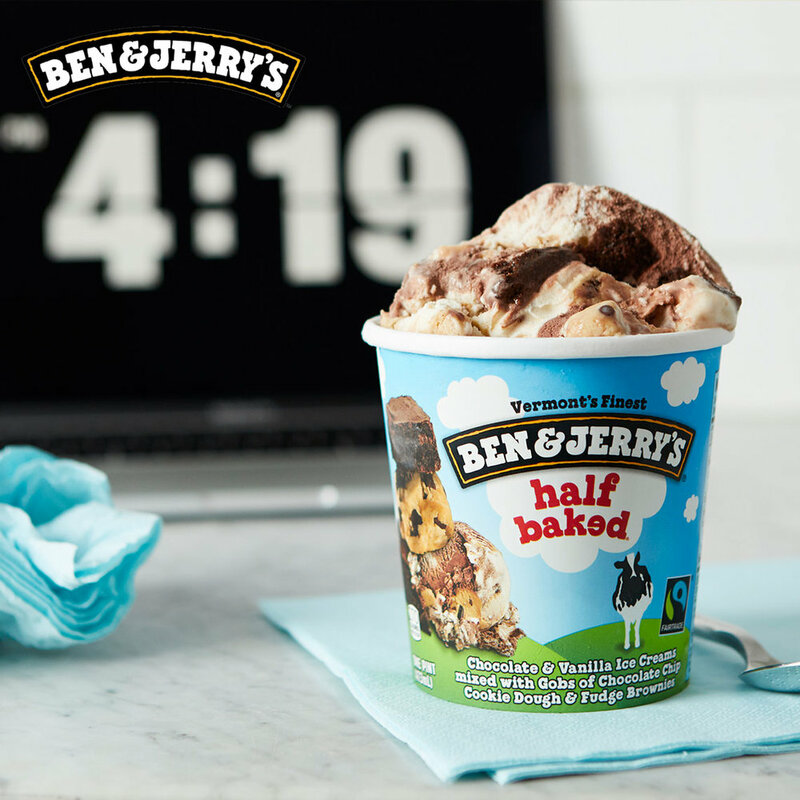 Each image featured a pint of luscious ice cream in a lively scene, with a little animated element that prompted a smile. Creative direction: It was exciting for me to be in on the ground floor of a totally new brand from Tyson. 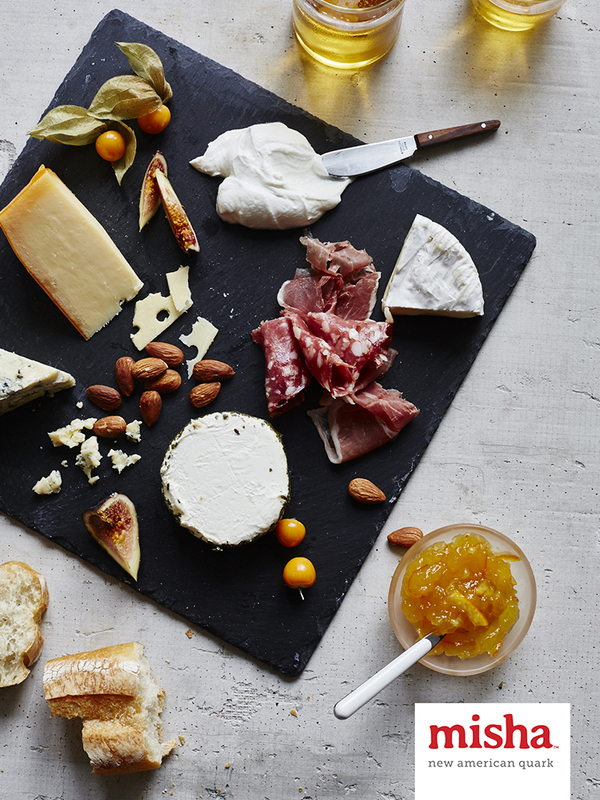 Tastemakers is a line of prepared meal kits sold in retail stores and through Amazon. Because the brand competes with meal-delivery services, we wanted the images to look professional, yet approachable. Over a multi-day shoot in Chicago, I produced a series of three different types of images: straightforward product shots on white seamless, finished dishes in table settings, and groupings of ingredients and dishes on a marble background. Working with the agency and client teams, I created images that show the consumer what the cooked meal looks like in an appetizing, engaging way. Creative direction: Guests staying at certain Westin properties can borrow exercise gear so they can stay fit and active while they’re traveling. 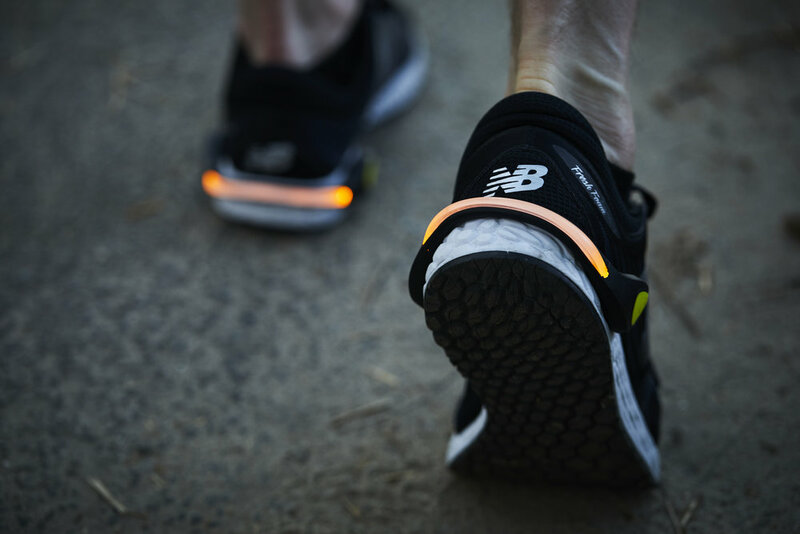 It’s a great offering, produced in collaboration with New Balance and part of Westin’s Move Well program. For the Gear Lending promotional campaign, I created an animated GIF that shows the elements in the gear bag (clothing, shoes, water bottle, safety lights and running map). We also photographed models running in Central Park to show the gear in action. Creative direction: This project for Jimmy Dean had two components: a library of recipe photos and a series of product shots. I worked closely with the creative teams from agencies VML and Ogilvy and from the client in studios in Chicago and New York. We developed a contemporary, casual look for the recipes, using texture, color and carefully placed fresh elements to give a warm and inviting feel. For the product series, we placed the items in a sunny kitchen setting, as if they’d just been unpacked from a grocery bag. Creative direction: We wanted these photos to make you feel like you’re standing in a Gregory’s Coffee store: surrounded by sights, enticing aromas and activity. 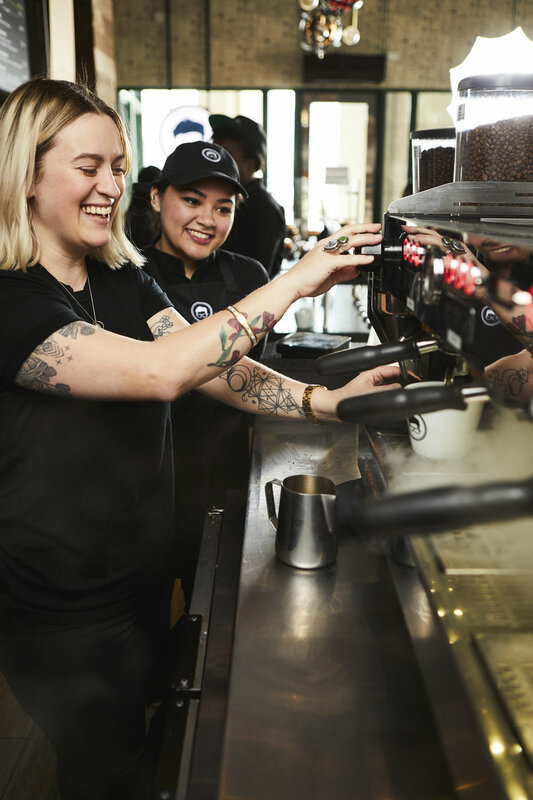 We created a full library of images for the company’s new website and mobile app, shooting in one of their cafés, in Gregory’s roasting facility and bakery. My visual approach sparked from the brand’s black logo and “rural industrial” interior aesthetic; I used dark backgrounds and high contrast to make the coffee drinks and baked goods really pop. Shooting on location with real employees brought a vibrant energy to the images, making Gregory’s feel like “the place to be. Creative direction: As part of its mission to help guests get a good night’s sleep, Westin presents a small vial of Sleep Well Lavender Balm on bedside tables. The brand created a social marketing campaign to promote the balm and needed a library of images for all digital and social channels. We worked with the client’s art direction to showcase the product in a variety of relaxing settings. To manage the volume of shots and formats (including horizontals for web banners and Twitter, squares for Instagram, verticals for Snapchat), I set up a large monitor on set that would show all formats for each image simultaneously. The process ensured that the entire series had a cohesive look — and that the client had a stress-free experience working with my team. Creative direction: It was a blast to photograph this line of organic fruit snacks for kids. We developed a library of images for use online and in social media channels. Working with the agency team, I imagined different scenarios where kids might have these little fruit bites—like when they’re making craft products, eating lunch at school or playing at home. We used bright, natural light, tons of props and flashes of bright color, incorporating the package as part of each scene. Creative direction: When a product uses pure and natural ingredients, it’s important for the packaging to look the same way. On this photo shoot, no detail was overlooked. 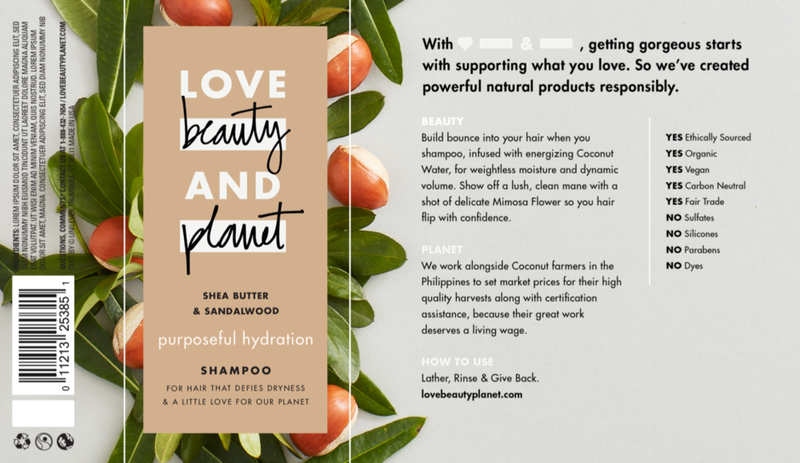 I created the photographs specifically for the label layout, so my team carefully arranged these naturally beautiful elements—coconut, tropical flowers, citrus and herbs—to accommodate blocks of text. We also produced a library of images showing each ingredient for the brand. The big challenge: The photo shoot was in February, so sourcing all the plants and flowers was quite difficult! But it was so rewarding to work with a client team that really believed in the product and allowed us the time to make sure every petal, every leaf—every photo—was perfect. Creative direction: In addition to the straightforward product shots my client typically uses on product packaging, they wanted a series of stylized images for trade show marketing. Asian food manufacturer TMI Trading wanted to create a new look for their booth and promotional materials at the Fancy Food Show. I worked to elevate their visual style, using dark stone as the backdrop and minimal propping to really let the color and quality of their products shine. I set up a mini photo studio in their production facility, and we worked with their culinary team to showcase the fresh noodles, brightly flavored sauces, steamed dumplings and other specialties. Creative direction: Photoshoots can be flat-out fun, and this was one of them. Sheraton needed a massive image library for social media that all different business sectors can use. The photos were meant to look documentary, to capture real-life moments as they happen. I shot in a very loose, dynamic way on location at a Sheraton New York property, using a hand-held camera to take still-life and action photos in lounge and dining areas and behind the scenes in the kitchen. Creative direction: To market a new almond milk-based liqueur for the Baileys brand, one that’s aimed at the Millennial market, I worked closely with campaign creative direction provided by the agency, Mother. The lifestyle shots mirrored a series of TV spots; we carefully re-created the set and lighting in these still images for use in billboard, outdoor and point-of- purchase materials. They may seem simple, but the white-background product shots required technical expertise to achieve that bright, natural look. Creative direction: The culinary ethos for this new meal delivery service based in New York is healthy, clean and vibrant. So I naturally played on those themes in creating photographs for their website and marketing campaign. The images are bright and fresh, yet elegant and refined. We photographed not just finished meals, but also arrangements of ingredients presented like they’re in a the kitchen of an upscale home. Because the client’s customers are women who are fashion- and health-conscious, we styled the images to mirror their interests and lifestyles. Creative direction: It was a joy to collaborate with friends of mine, Nicholas Larsen and Petrushka Bazin Larsen. 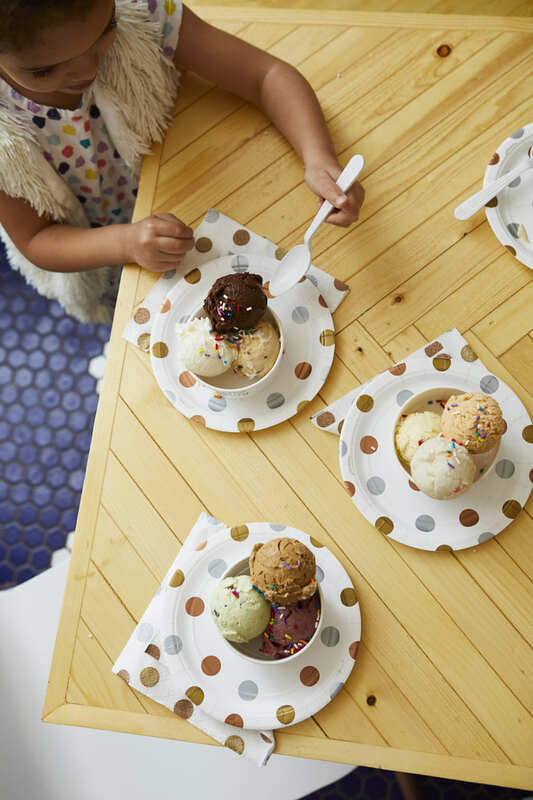 They are neighbors who launched a Kickstarter campaign to support their new family-friendly ice cream parlor in Harlem. They really know the food industry (Nick is a former service director for Blue Hill and general manager for Telepan), so it was a thrill for me to capture their vision for the business. Because their start-up budget was tight, and because they’re seeking crowdsourced funding, I knew the photos wouldn’t look appropriate if they were overproduced. So I kept the styling minimal and uncomplicated, with honest imperfections that look like real life. This was a true passion project for all of us. Creative direction: The client was initially unsure of how they wanted to visually represent the brand, so I proposed a style that let the product shine. Because the product— a fresh cheese called quark—is pure and white, the lighting and styling were bright and natural. I designed a series of photos to show how versatile the product is, and incorporated pops of red in the props—the model’s nail polish, the ice cream scoop—to tie into the red logo. And our team developed custom recipes to accompany the photos. Creative direction: Lisa is the former former creative director of Essence Magazine who now works as an artist, creating gorgeous, handmade graphic prints in gold leaf. I enjoyed collaborating with Lisa on this series of product and behind-the-scenes shots for her marketing efforts and website. In addition to showing her prints in home decor settings, we captured work that was still in development, plus fantastic images of her inspiration books to reveal her creative process. I also photographed casual portraits of Lisa in her studio to support her brand. Creative direction: For this jewelry designer (formerly the lead jewelry designer for Anthropologie), we established a look of elegant casualness: elevated, light and bright, with earthy and natural materials. In order to manage the large volume of shots (60 products and model scenes, in three different settings), I set up two different photo stations to shoot the products on plain and stylized backgrounds; we arranged a location shoot for the model images. The result? Gorgeous fashion and product photos and a no-stress experience for the client. Creative direction: Sweden-born and New York City-based, Lotta Jansdotter is a product and pattern designer with a remarkable eye and passion for her work. She served as the stylist for this massive project, involving 100+ product and lifestyle shots for her online store, social media and publication. In addition to photographing Lotta’s products, we also recorded behind-the-scenes images that show her artistic process. We collaborated loosely and fluidly during this session in her studio workshop, capturing photos as inspiration struck, sharing ideas and arrangements. Lotta is truly a joy to work with!